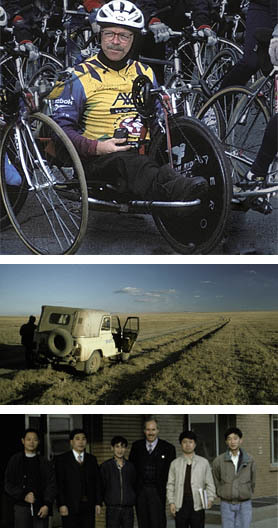 When the seven core cyclists of AXA World Ride 95, six of whom are athletes with disabilities, pedaled into Washington D.C. in 1995 they completed a 13,000-mile, around-the-world bicycle route designed by Steve Williams. 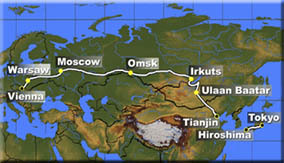 In addition to the designing the route for this bicycle tour, Steve scouted the entire 8,000-mile section from Vienna, Austria across the former Soviet Union, Mongolia, China and Japan by car. Acting as the official representative of the ride, he researched road conditions, fuel supplies, and hotels and explored the reception of the event in a tenuous political climate.